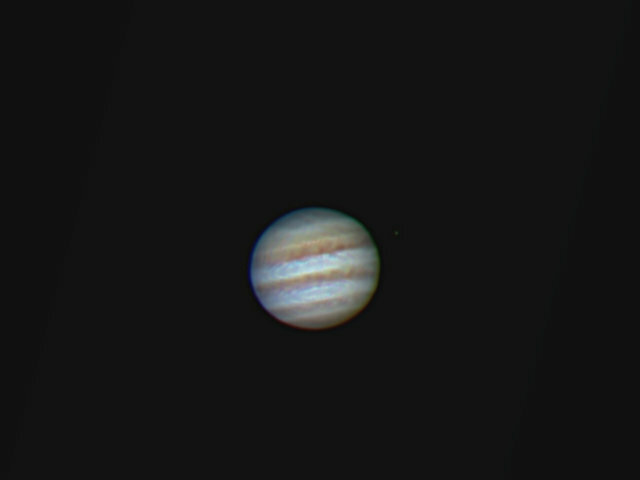 Here is a recent image of Jupiter taken using my Esprit120. The scope has a bad case of pinched optics and SkyWatcher is getting me a replacement, but in the mean time it still gives excellent lunar and planetary views. The image is captured using the movie crop mode on a Canon 60Da on a night of very poor seeing. Processing This image was processed entirely in Images Plus. Video processing, selecting only the 1230 best frames then levels to brighten and sharpening applied.